Morgana aims to provide an authentic representation of an early digital sampler, designed to be musical rather than accurate. Per-voice, Morgana offers extensively modeled VCFs, amp and filter envelopes. 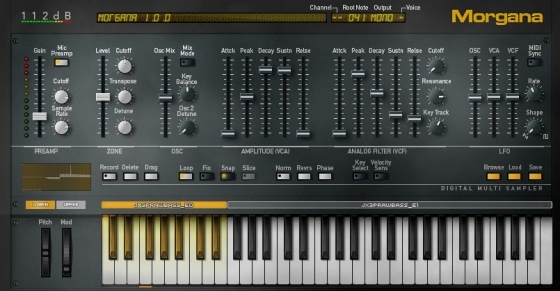 It also features a unique interpolation method, which enhances digital artifacts, and a pre-amp to shape each sample, simulating a primitive analog-digital stage. 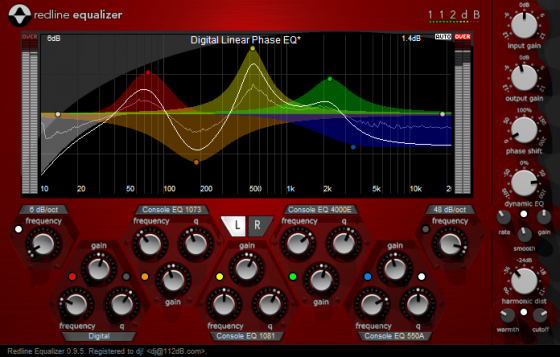 Redline Equalizer is a variable (from linear to beyond-analogue) phase EQ with eight fully decramped custom EQ algorithms, dual-mono and mid/side modes, automatic perceived pre/post loudness leveling, dynamic EQ, adjustable harmonic distortion, and adjustable gain/bandwidth dependency, Redline Equalizer allows for a flexibility and variety of sounds never before seen (or heard) in equalization, according to 112dB. 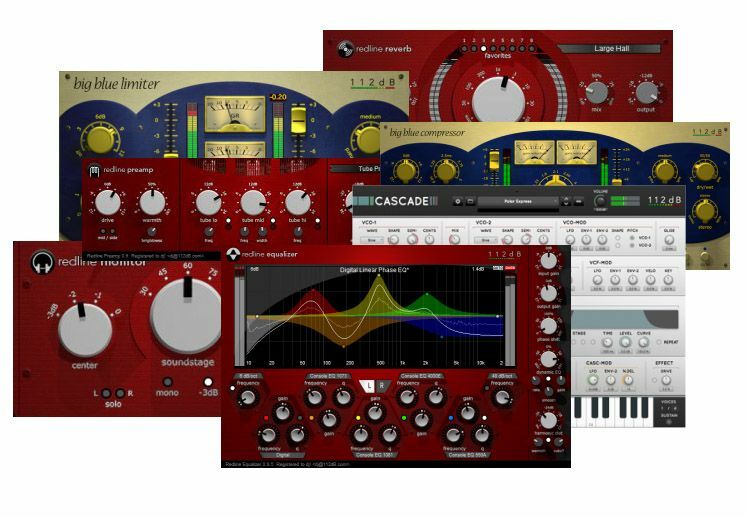 It can sound pristine and transparent or raw and dirty, like a vintage piece of gear with serious coloration, even at minimum settings. 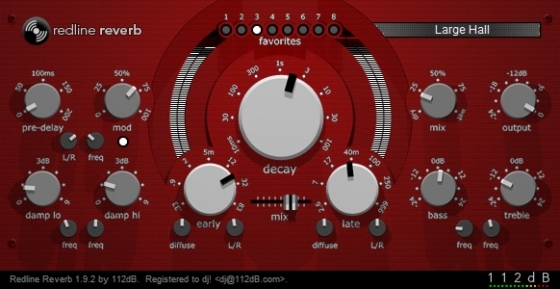 Redline Reverb is a musical reverb based on a completely new and original concept that excels in both warmth and transparency at extremely low CPU usage, according to 112dB. Its core algorithm is based on the Rev-6 and Space Master Reaktor ensembles by Martijn Zwartjes. 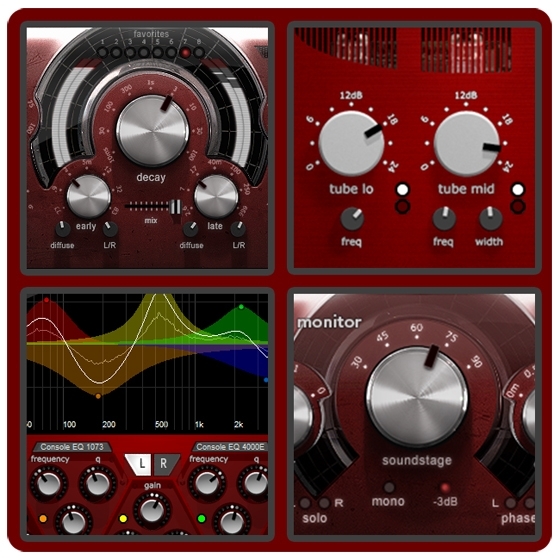 With its many sound enhancements, an intuitive and attractive new user interface, and much optimized CPU usage, Redline Reverb represents the next generation of these celebrated algorithms.